We are a walk-in only facility. Appointments are only made for surgeries, anesthetized dental care, and boarding services. Welcome to El Paso Animal Hospital! We'll help your pet get on the road to happy and healthy. Here at El Paso Animal Hospital, your pet's health is our priority! Bring in your pet, and we'll give it the loving care it deserves. After hours, we accept emergency calls until 10 p.m.
Let your dogs and cats have a vacation of their own in our Paws & Play Boarding center! We have over 100 years of combined experience with 5 vets ready to help. We would love to get to know you, so we want you to know who we are! We care for pets of all kinds including cats, dogs, rabbits, reptiles, snakes, and mice! We have many treatment options for whatever has your beloved pet feeling under the weather! Our patient forms are available online so they can be completed in the convenience of your own home or office. Just bring the form with you to your first visit. At El Paso Animal Hospital we offer walk-in service all day every day. Come when it's most convenient for you. Appointments are only required for surgeries, dentals, and boarding. 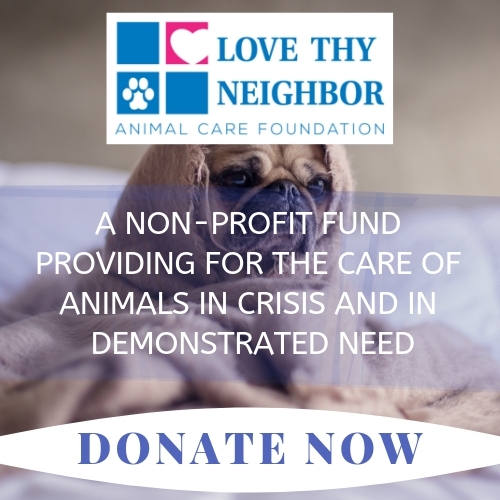 In times of crisis, this non-profit fund helps animals get the care they deserve. Pet Emergency? Call us right away at (316) 788-1000! At El Paso Animal Clinic, you can feel confident that you are receiving the best quality of care for your pet. With over 100 years of combined experience, our doctors have the experience to treat your loved one. At El Paso Animal Hospital you never need an appointment. Walk-ins are always welcome. If you live in Derby, Wichita, or the surrounding area and need a trusted veterinarian to care for your pets – look no further. Our veterinarians, Gary Oehmke, Jeff Herod, Erica McKinney, Lynn Mork, Landon McQuilliams, and Jessica Duke are licensed KS veterinarians, treating all types of pets. Your pets’ health and wellbeing are very important to us, and we take every possible measure to give your animals the care they deserve. El Paso Animal Clinic is a full service animal hospital and welcomes both emergency treatment cases as well as pet patients in need of routine medical, surgical, and dental care. Our veterinarians have years of experience treating serious conditions and offering regular pet wellness care. We are happy to offer a number of resources that enable you to learn about how to take better care of your pets. Please feel free to browse our site, particularly the informational articles. The best veterinary care for animals is ongoing nutrition and problem prevention, so becoming knowledgeable about preventative pet care is essential to the ongoing success of your animal’s health. If you have any questions, call 316-788-1000 or email us and we'll promptly get back to you. Our Derby veterinarian office is very easy to get to -- and you can find directions on our Contact Us page! We also welcome you to subscribe to our newsletter, which is created especially for Derby and Wichita pet owners. At El Paso Animal Hospital, we treat your pets like the valued family members they are. INTERESTED IN LEARNING MORE ABOUT OUR CLINIC? CLICK BELOW TO REQUEST INFORMATION AND WE'LL REACH OUT TO YOU SHORTLY! Gary was born and raised in the small town of Linn, Kansas. Gary attended K State from 1972 – 1978 (2 years of undergrad and then 4 years of vet school). After graduation Gary worked in Kansas City for 3 months and then started El Paso Animal Clinic in December 1978. Jeff grew up in Garden City, Kansas, and went directly to Kansas State University. After receiving his undergraduate degree in Animal Science he went to KSU College of Veterinary Medicine where he graduated in 1988. Erica grew up in Derby and graduated from Derby H.S. in 1994. She worked at El Paso Animal Clinic during college as a technician. After receiving her Veterinarian degree in 2002, she worked as a veterinarian in Las Vegas and Memphis, TN before moving back to Kansas in 2006. She has worked as a veterinarian at El Paso Animal Clinic since October, 2006. Lynn began working for El Paso Animal Clinic as a full time veterinarian in July, 2014. She comes to us with a wealth of great experience. She spent 14 years working at the Veterinary & Emergency Specialty Hospital of Wichita where she worked as an Emergency Veterinarian. "The Best Place for your pet. I have been taking our pets there for 25 years. They are the BEST! All of the doctors there are wonderfully caring and knowledgeable." "Great place to take your pets... The vets here have always been gentle and caring. I have used them for about 4 yrs now and do not have one complaint. I would recommend them to anyone who loves their pets!" "El Paso Animal Hospital and it's staff, especially Dr. Jeff, have always been the nicest people to my pets and me. He has saved my cat's and my dog's lives and I thank them soo much for that. They will definitely make you feel comfortable leaving your pets there!" "When Dr. Gary kissed my sick rats head, I knew I had found a loving, caring vet clinic. I take all 3 of my dogs and my 3 cats to them for excellent care. They are less expensive than other vets I have found while still providing excellent pet care." "Erica Mckinney is the best vet ever! I've been going to El Paso since 1992 and was seen by Dr Herod and Dr Oehmke, but when she joined the clinic, it was AWESOME. She helped give life back into my cat Tigger for years until his sickness caught up with him, and she helped me through that difficult time. She is very loving towards all of my pets. She is very thorough with what she is going to do and also lets you know how much it will cost before anything is done."